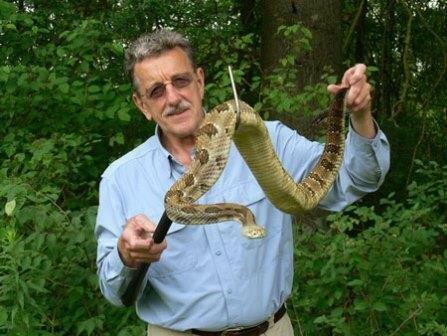 Michael Bean has, literally and figuratively, written the book on wildlife conservation law and has directed the wildlife conservation activities of the Environmental Defense Fund since 1977. 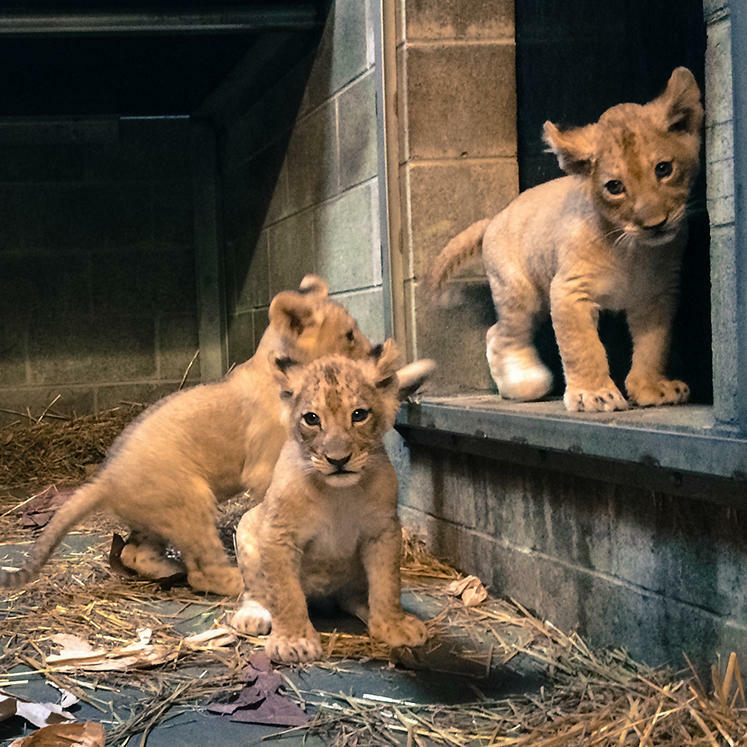 Three lion cubs born at the Cincinnati Zoo have been referred to as “1, 2 and 3” since their birth last November. But now they have proper names. 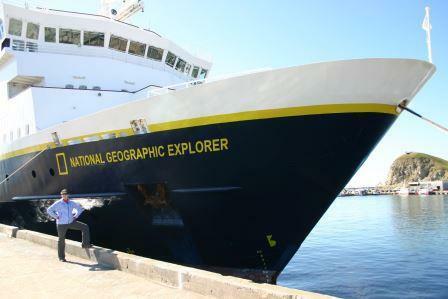 The cub formerly known as 1 is now Huruma, which means compassion in in Swahili. Cincinnati Zoo keepers picked that name to honor a colleague from the St. Louis Zoo who recently died. Becky Wanner helped raise the cubs’ mother, Imani. Huruma is also being referred to as Uma. The Cincinnati Zoo has announced the three lion cubs born in November are all female. 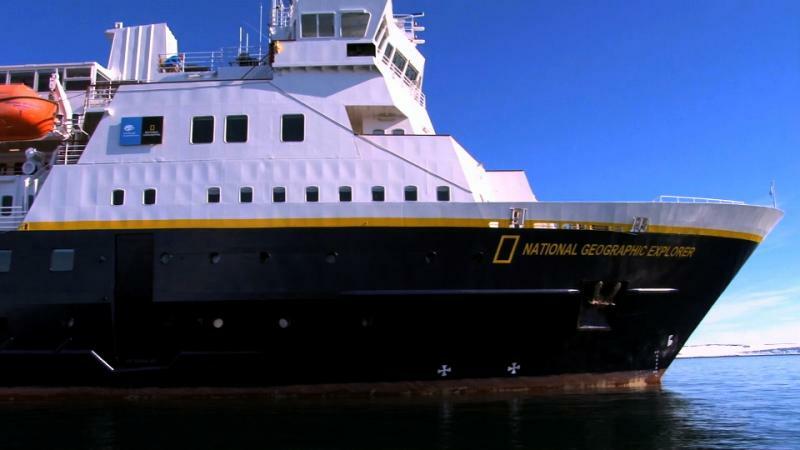 A release says the cubs got their first check up today. The zoo now wants to name the cubs and is asking for suggestions via Facebook and Twitter, using #CZBGLionCubs. The Cincinnati Zoo is celebrating the arrival of rare painted dog pups. “It’s been 30 years since painted dog pups were born at the Cincinnati Zoo, and none of the pups from that litter survived," says Zoo Director Thane Maynard. "So, if all goes well, these will be the first pups of this species to grow up here." Zoo officials aren't certain how many pups were born. They estimate it's between seven to 10. The first pup arrived Monday morning, January 5. The last was born at 9:50 p.m. In 1964, Clyde Peeling opened Reptiland in Allenwood, Pennsylvania and for the last 50 years, has been educating generations of visitors about the importance of reptiles in nature. Thane Maynard of the Cincinnati Zoo recently had the chance to talk with Clyde Peeling about his half-century at Reptiland. In the late 1800's Cincinnatians loved Indians and Indians loved Cincinnati. Wild West shows at the end of the 19th century were big because the frontier had disappeared and people were enamored with all things Indian. So when a Wild West show in Bellevue, Kentucky closed up, and Cree Indians from Montana were stranded, the Cincinnati Zoo came to the rescue, as far as the Native Americans were concerned. 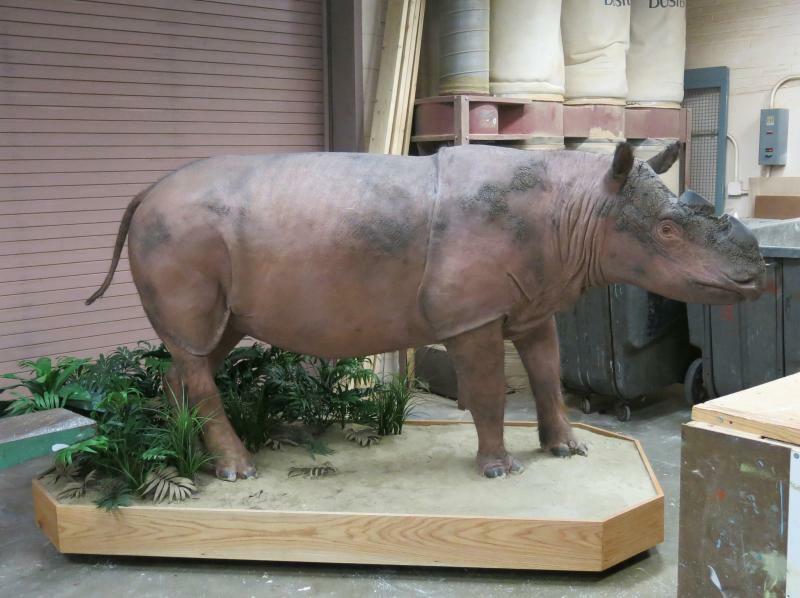 When one of the Cincinnati Zoo's Sumatran rhinos died last year, his remains were given to the Museum Center. Friday the Museum Center is unveiling a mounted display of "Ipuh." Ipuh came to the Cincinnati Zoo in 1991 as part of a captive breeding program between the United States and Indonesia. He was one of the last Sumatran rhinos taken from the wild and was believed to be around 33 years old when he died. 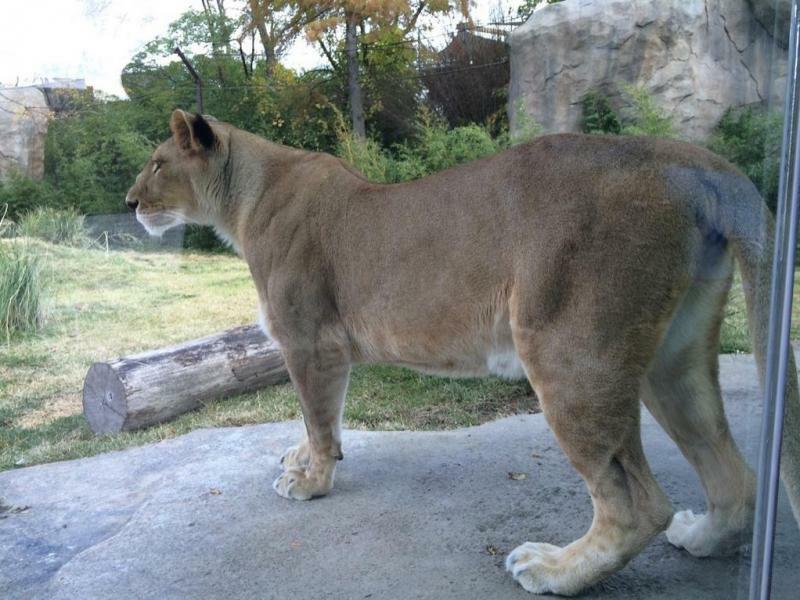 Could Cincinnati Zoo lion be pregnant? Baby watch is on at the Cincinnati Zoo. Zookeepers noticed three-year-old lion "Imani" was putting on weight and began speculating she might be pregnant. A pregnancy test indicates that just may be the case. Seven gorillas, including two babies, got a special treat at the Cincinnati Zoo Thursday and it's not even Halloween yet. Gorill-A-Lanterns were filled with granola, raisins, sunflower seeds, peanuts, grapes, popcorn and apples. The arrival of the gorillas into the exhibit was carefully orchestrated so nobody (except maybe the silverback Jomo) got special treatment. Curator of Primates Ron Evans, who designed and carved some of the pumpkins, radioed staff to let the gorillas come out. 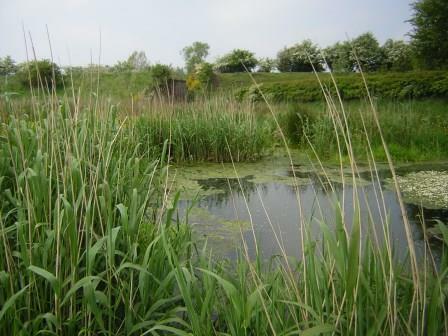 There was a time not long ago when wetland areas were thought of as useless, or worse, breeding grounds for disease. But wetlands provide values no other ecosystem can, including natural water quality improvement, flood protection, and shoreline erosion control, along with the opportunities they give us to examine and enjoy nature. Cincinnati Zoo & Botanical Garden Director Thane Maynard speaks with Brian Jorg, the Zoo's Manager of Horticulture, about the vital role wetland areas play in our ecosystem, and ongoing efforts to preserve and restore them. 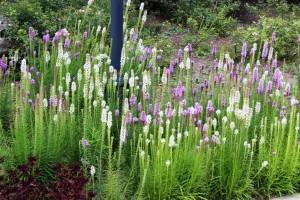 The Zoo is holding a native plant sale at its EcOhio Farm this weekend, for information, click here. 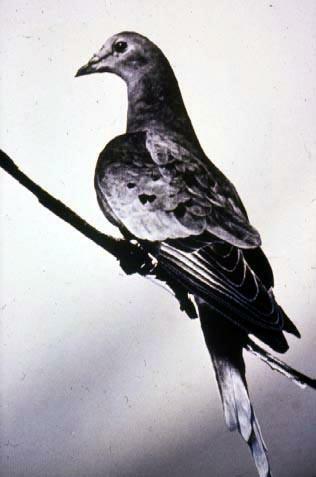 The Passenger Pigeon was once probably the most numerous bird on earth. Population estimates from the 19th century ranged from between one and four billion. 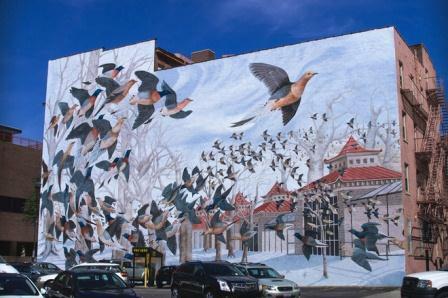 But on September 1,1914, the last Passenger Pigeon, Martha, died at the Cincinnati Zoo. Next Thursday, August 28, the Cincinnati Zoo & Botanical Garden presents its fourth-annual Plant Trials Day, where the zoo shares the results of its testing program. 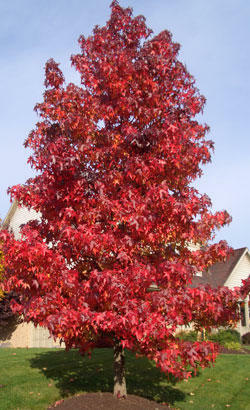 Learn about the best new plants most suitable for our area, and hear presentations by horticulture experts on a variety of gardening topics, perennials, miniature trees, selecting the best plant materials and more. Here to give us a preview of Plant Trials Day are the Director of Horticulture at the Cincinnati Zoo, Steve Foltz, and zoo horticulturist Scott Beuerlein. There were lots of "oohs and ahhhs" from the crowd of adults and kids who gathered to see 8-day-old Mondika's first public appearance at the Cincinnati Zoo Tuesday morning. The baby Western Lowland gorilla's public debut took place in the Zoo's outdoor gorilla yard along with Asha, the mother, Jomo, the father, and family members M'linzi, Samantha, Anju and baby Gladys. 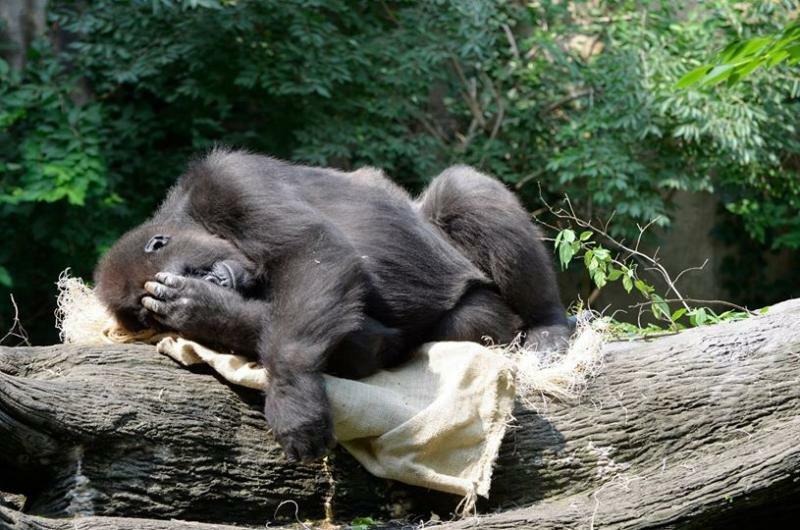 The Cincinnati Zoo is expecting a baby gorilla any day now. But, the little tyke won't actually belong to Cincinnati. Neither the unborn gorilla nor its parents, Asha and Jomo, are Cincinnatians, so to speak. Though all three will live here, ownership falls to the parents' zoo of origin. It's all part of the Association of Zoos and Aquariums Species Survival Plan which helps zoos in North America regulate breeding. Cincinnati Zoo Director Thane Maynard says it's complicated but important. Dr. Alan Rabinowitz is one of the world’s leading big cat experts, and has been called ‘The Indiana Jones of Wildlife Conservation’ by TIME Magazine. He has traveled the world on behalf of wildlife conservation and is responsible for the world's first jaguar sanctuary, the Cockscomb Basin Jaguar Preserve in the mountains of Belize. 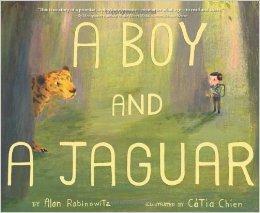 The Cincinnati Zoo’s Thane Maynard had a chance to talk with Alan Rabinowitz about his work, and A Boy and a Jaguar, his picture book that tells the real-life story of his own childhood. 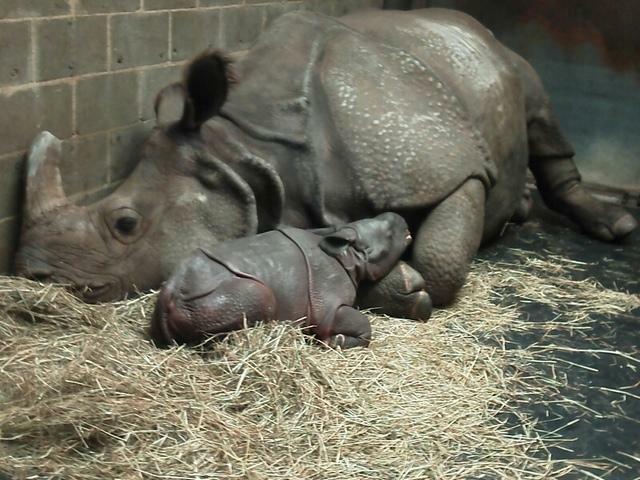 The Cincinnati Zoo says a baby rhino born in Buffalo was conceived using cryogenically preserved sperm. A female Indian rhino calf was conceived at the Buffalo Zoo through artificial insemination. 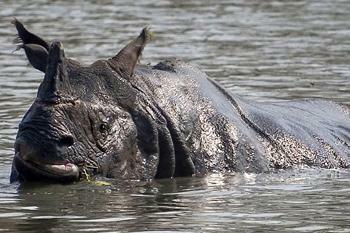 The sperm came from Cincinnati's former rhino named "Jimmy" who died in 2004. The calf named "Monica" was born June 5 weighing 144 pounds. In a release, the Cincinnati Zoo calls this "a major victory for endangered species around the world." Get a daily glimpse into the natural world from Cincinnati Public Radio with The 90-Second Naturalist. 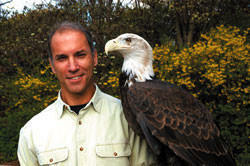 Hosted by Thane Maynard, Director of the Cincinnati Zoo & Botanical Garden, the mission of his work is to tell the story of biological diversity, natural history, and wildlife conservation to the general public. 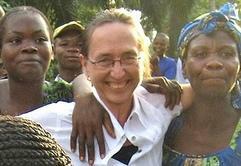 The next speaker in the Cincinnati Zoo Barrows Lecture Series is Dr. Terese Hart. Dr. Hart is the director of a Lukuru Foundation project that is working to create a new national park in the Democratic Republic of Congo. On Wednesday, May 28 at 7:00 PM, she will present, “The Challenges of Protecting Wildlife in the Congo.” Dr. Hart spoke with the Zoo’s Thane Maynard about her work. The Cincinnati Zoo's newest giraffe made her public debut Thursday. Nasha roamed the yard with mother, Tessa; sister, Lulu; and two other female giraffes. There are five giraffe species. The ones here are Maasai Giraffe. Once Nasha is weaned and matured she'll be considered for breeding programs at other zoos. Lulu will be moved to The Wilds in southeastern Ohio this fall. 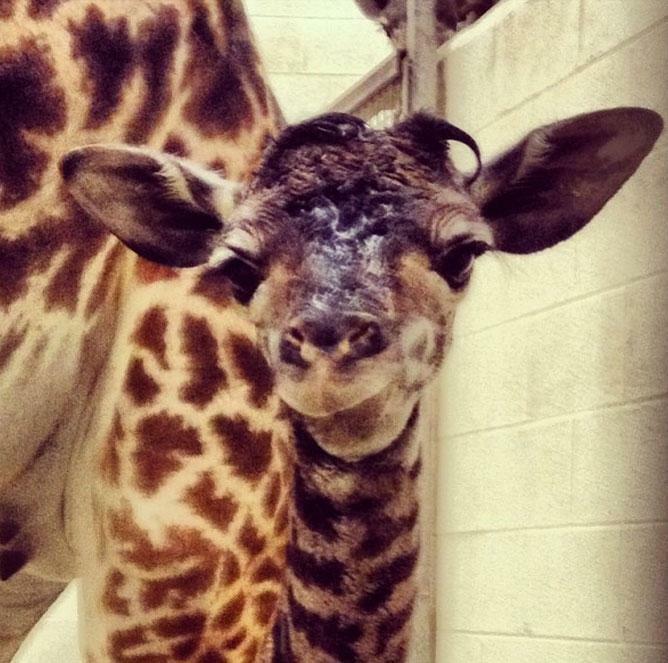 The Cincinnati Zoo and Botanical Garden welcomed a new female giraffe calf Monday morning. Just before 4 a.m., Tessa started showing signs of labor and by 7 a.m. the baby started to emerge. This is Tessa's third calf. 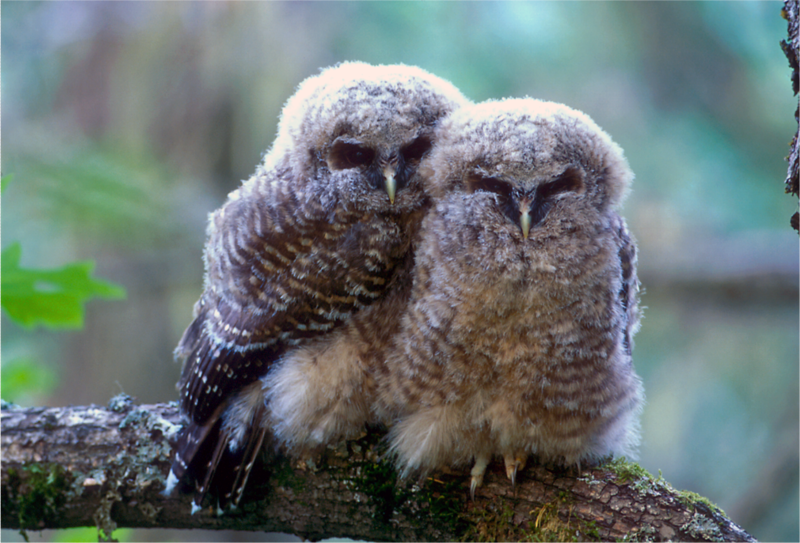 Many consider Earth Day 1970 the birth of the modern environmental movement. Since then, each year on April 22, millions of people all over the world take some action in support of a greener, cleaner, more sustainable environment. 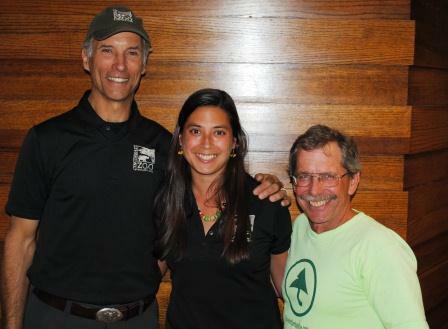 Bill Konstant serves as Program Officer for the International Rhino Foundation, traveling the world to build collaborative programs that help bring an end to poaching. 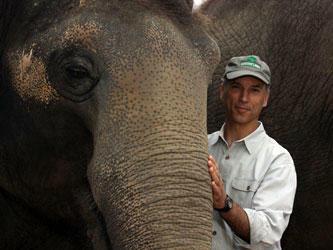 As part of the Cincinnati Zoo Barrows Lecture series, Mr. Konstant will present “The World’s Rarest Rhinos” Wednesday evening April 23, providing a look at the last three decades of wildlife conservation, as well as a glimpse into what the future looks like for the world's five rhino species. Earlier, the Zoo’s Thane Maynard had a chance to talk with Bill Konstant about the world’s rhino population. Rain barrels decorated by students and artists from around the Tristate are on display at the Cincinnati Zoo. The 2nd annual Rain Barrel Art Project sponsored by Save Local Waters is part of a push to raise awareness about environmental education and, of course, to get more people to capture rain water to reduce water usage. On a beautiful and busy day at the Cincinnati Zoo and Botanical Garden, the public got its first glimpse of Kilua, a baby okapi born on November 30, 2013 to mother Kuvua and father Kiloro. Kilua is the Cincinnati Zoo’s 15th okapi birth since 1989 but the first offspring from this couple.